Travel is an amazing thing. Ask anyone who has taken the leap of international exploration and they will tell you that it is a life changing experience. Pushing your boundaries, stretching your comfort zone, and connecting with a foreign culture is a great path towards personal growth and greater understanding of the world we live in. Traveling is the ultimate adventure and it is much more accessible than many people realize. Now, in the age of the internet and social media, there is almost no destination, exotic or mundane, that is exempt from regional tourism and world travelers. The world is getting smaller. In a certain sense, we live in a golden age of tourism. So with all these new possibilities, how do you make your vacation special? The best way to have a rewarding travel experience is by focusing on something specific and unique to the local culture. With regards to east Asia, tea travel makes the perfect focal point for an unforgettable journey. Here are the top 5 reasons why having tea as the focus of your travel experience will bring your journey to a whole new level. Tea is the common thread that subtly weaves together the histories of many different Asian cultures and their interaction with Europe, America, and the rest of the world. 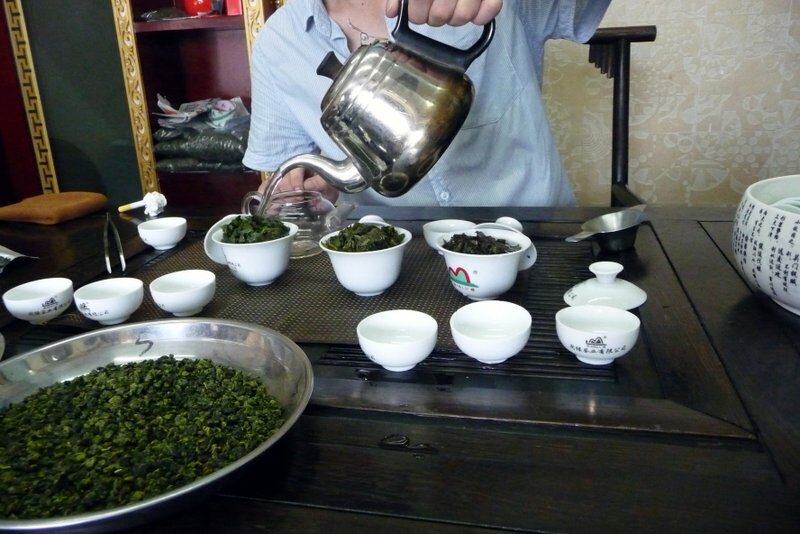 First discovered in China in 2737 BC, it is hard to understate the impact tea has had on the history of Asia. 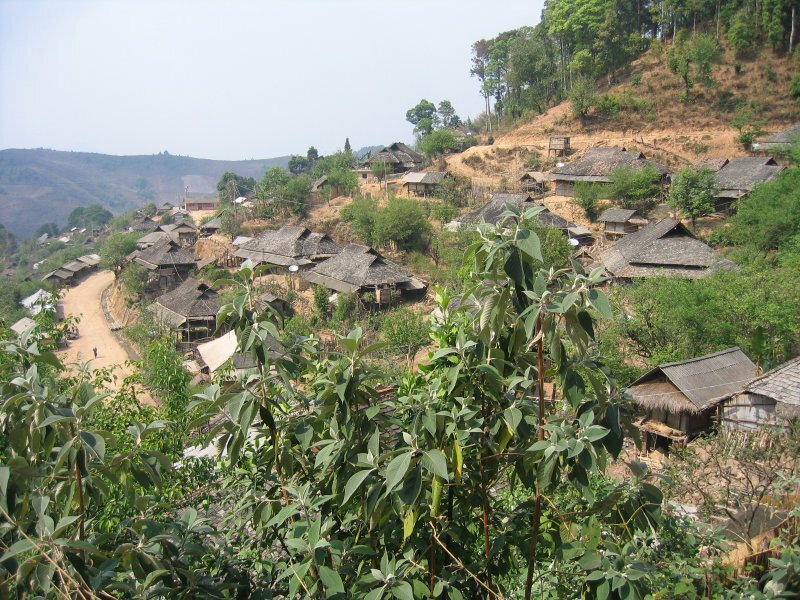 Some of the oldest tea trees can be found in rural areas of Yunnan, Myanmar, and Laos. Tea was a major commodity and a driving force for the silk road trade that brought goods from southern China and Tibet to the Middle East and Europe. Powdered tea of the Song Dynasty(960-1279) was an integral part of classic Chinese poetry, Chinese garden design, the growth of Zen Buddhism, and Chanoyu – the Japanese tea ceremony. In Japan, monks, shoguns, samurai, and common people are connected through history in a simple bowl of tea. The Opium Wars and the taking of Hong Kong by the British can all be traced back to the important beverage, tea. The story of tea in India is both the story of the indigenous people and plants of Assam and the colonial occupation of India by the British. Tea in Taiwan connects the classic Chinese culture brought to the island by those who fled the mainland during the Cultural Revolution and modern agriculture techniques. An exploration of tea will open your eyes to the infrastructure, politics, business, and trade that it has helped mold over the course of history. Tea can show you a lot of the historic context that is often overlooked, but will undoubtedly enrich your experience of that place. 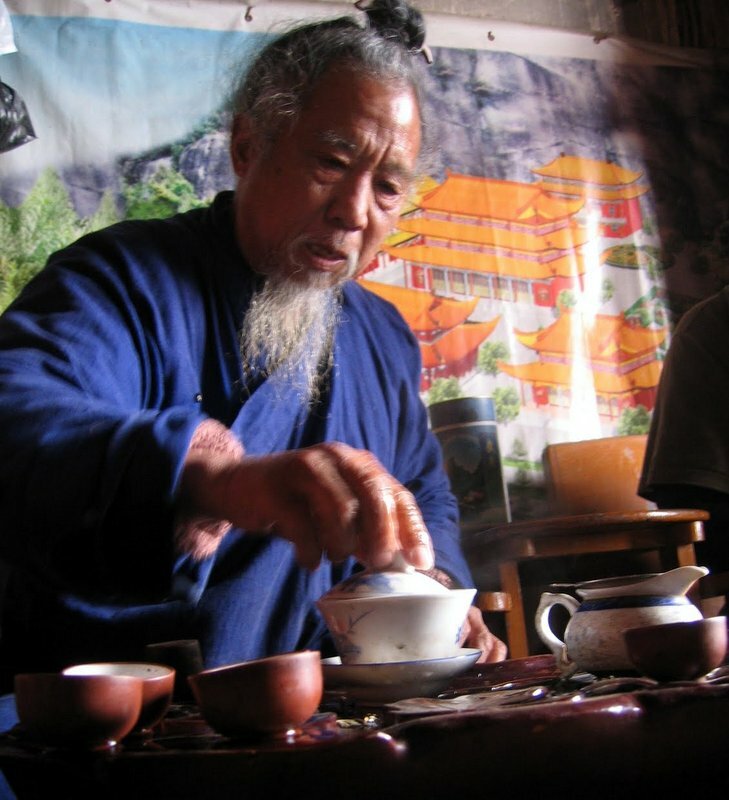 Tea is deeply connected to many cultures. If you are not interested in other cultures, you should probably just go to an all inclusive resort on a beautiful beach filled with vacationers from your home country. However, if the idea of learning about and connecting with another culture excites you (or at least piques your interest), then consider using tea as a springboard for your cultural adventure. Instead of just scratching the surface of a place or a culture, tea allows you to dive in and connect on a whole new level. What makes tea so special is that it is so common. Tea is the most consumed beverage on earth (besides water, but that doesn’t really count), so you are sure to find it almost anywhere you go. It is a great way to make friends and get to know the local culture. Drinking tea can be a very social activity, especially in Asia. Sitting down to share a pot of tea brings everyone at the table to the same level. Regardless of language or history, if you are drinking the tea from the same pot with someone else, you are connected. You are tasting the same thing, you are feeling the same warmth, and you are participating in the same cultural ritual that millions of others have throughout history. Sitting back, observing, and sipping on some tea can tell you a lot about the culture you are experiencing. How is the tea brewed? How is it served? What style of pots and cups are used? Is is a formal setting or a casual one? You can learn so much about daily life from sitting at a chai stall in Calcutta, or tasting at a tea shop in Taiwan, or sipping form a gaiwan in a Chinese garden cafe, or having some green tea after a sushi dinner, or sitting through a formal Japanese tea ceremony… you get the idea. Regardless of whether you are on a street corner or in a fancy tea house, you are participating in an essential cultural ritual that is open and accessible to visitors from anywhere. Tea takes you off the beaten path. 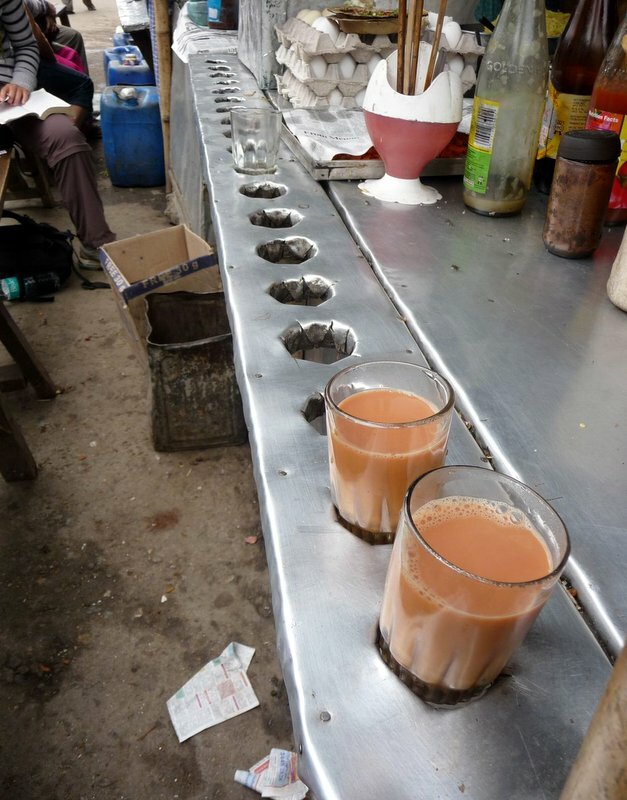 For now at least, tea is not a huge draw for most tourists. You will find lots of tea shops and tea houses in the major cities in Asia, but if you really want to get to the heart of the tea experience, you have to travel to some out of the way places. 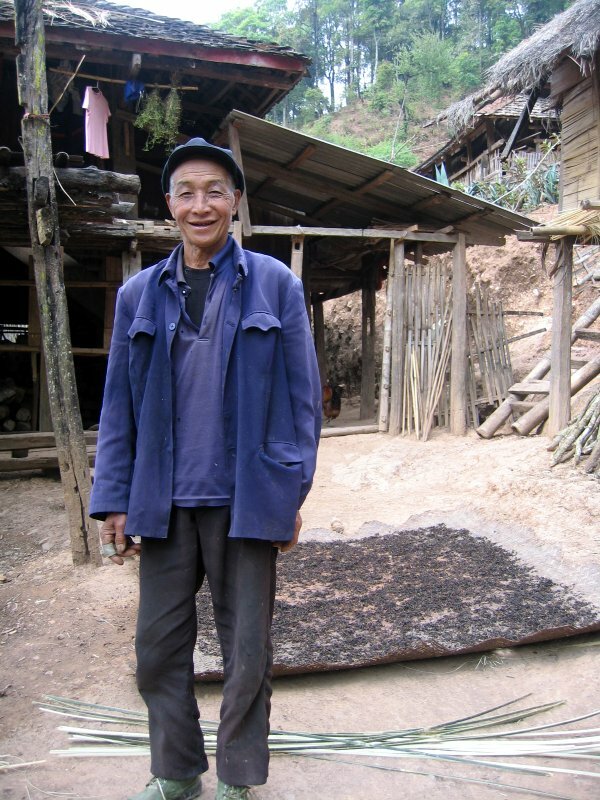 Often, most of the small tea towns and tea growing regions are not popular tourist destinations in their own right. 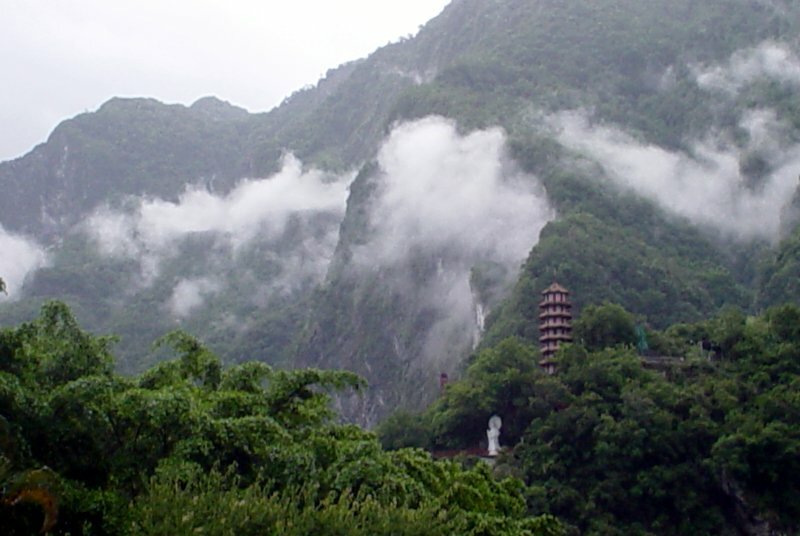 Some places, like Wuyi Shan in China and Ali Shan in Taiwan are popular sites for local and regional tourists, but for each place like this, there are numerous small villages or tea covered mountain sides that rarely get any visitors at all. This is where the true adventure of tea traveling starts. As a tourist, anyone can venture blindly into remote farm land, dense jungle, or rural back country, but unless you have a goal in mind, you may find yourself wandering aimlessly in the middle of nowhere. This can be fun in its own way, but if you only have a short time and you want a more rewarding experience, you need purpose. Tea gives you a great reason to travel to some of these remote places. 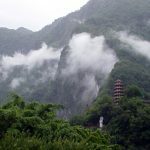 If you are searching for a special tea or specific tea mountain, your journey has purpose and the destination will bring that much more reward. Locals are excited to see visitors who are excited about what they produce. Most tea farmers and producers are very proud of their tea, and having foreign visitors can be as interesting for them as it is for us. Travelers travel for the experience. If this wasn’t the case, we would be satisfied to just look at pictures or read about all the interesting destinations out there. The more you can experience from a place or a culture, the more interesting it is, the more you learn from it, and the more rewarding the experience is. We experience the world through our senses, and tea stimulates all 5. Tea is beautiful. As we will mentioned below, the areas that grow tea tend to be geographically beautiful, but tea itself is beautiful as well. The leaves can vary from bright green to purple/red to deep brown. It can have fuzzy, downy buds and curled spiral leaves. It can brew ruby red, pale yellow, or emerald green. Tea smells good. Tea growing on the bush does not have a particularly strong aroma, but as soon as it begins to be processed, it releases many different captivating aromas. Depending on where and how the tea in being processed, any given tea factory can exude smells of fresh green vegetables, spring flowers, wet hay, dank mushrooms, camphor, seaweed, juniper, honey, coconut, pineapple, geranium, soil, fresh dew, grass, chocolate, malt, herbs…. the list goes on and on. 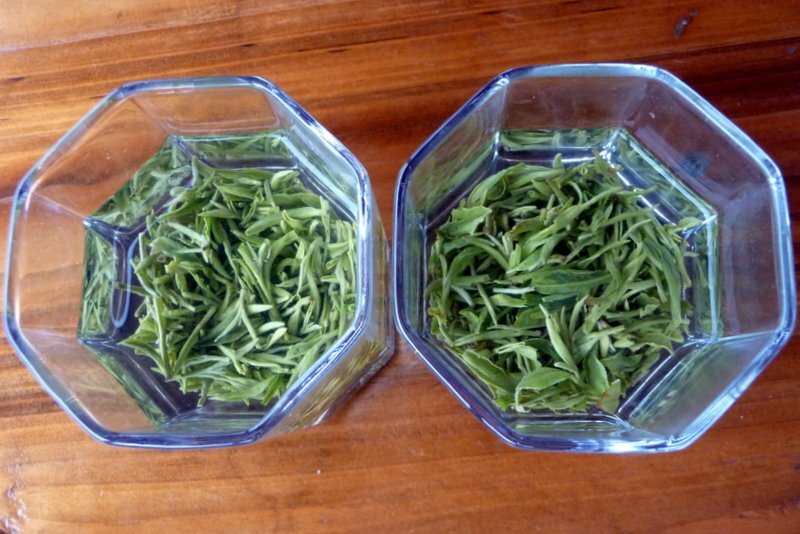 After the processing is done, each tea, when brewed, also has its own captivating aroma. Tea tastes good. This is ultimately why tea is so popular. Tea has naturally delicious flavors. Fresh green and grassy, or complex, sweet and fruity, or bitter, malty and chocolaty, or herbal, minty, and floral… again the list is only limited by the different kinds of tea, which are almost endless. This doesn’t even include teas with added flavors, like spiced chai, jasmine green, bubble tea, Genmaicha (tea with toasted rice), Earl Grey (bergamot flavored black tea), etc. Tea feels good. The obvious feeling of tea is warmth. You can feel it when you hold the cup and you can feel it when you take a sip and it warms your throat. The less obvious, but very real feeling of tea is how it makes you feel. Tea is a stimulant. A large reason why tea has made its way around the globe is because it promotes alertness, helps with focus, and generally makes us feel good. It makes mornings easier and is a great pick me up in the middle of the day. Tea is also filled with other healthy compounds that will keep your body feeling good over the long haul. Tea sounds good. I know what you are thinking, “What sound does a plant make?” But, before you laugh at this one, let me explain. Tea has its own soundtrack. The bubbling of the water boiling in the tea kettle. The clinking of the tea pot’s lid. The pouring of the water from kettle to pot, and the pouring of tea from pot to cup. The slurping of tea at a professional tea tasting or the slurping of the foam at the bottom of the bowl in the Japanese tea ceremony. There is also the sound of the languages that surround tea and the different names given to it. Gyokuro, Da Hong Pao, Pu’er, Puttabong, Lugu, Super Fine Tippy Golden Flowery Orange Pekoe, etc. Experiencing tea certainly has its own sound. Each region grows its own unique tea, so when you experience that tea, you are experiencing that place as well. The earth and soil, the weather, the geography, and the people that produce the tea can all be found in each sensory experience of that tea. 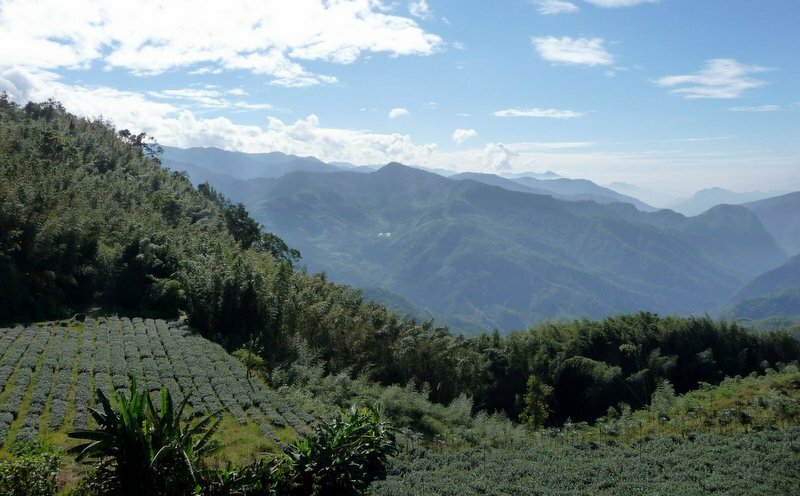 Some of the best tea in the world grows in some of the most beautiful places in the world. Tea is often grown at high elevation, so the landscape surrounding many remote tea growing areas is breathtakingly beautiful. 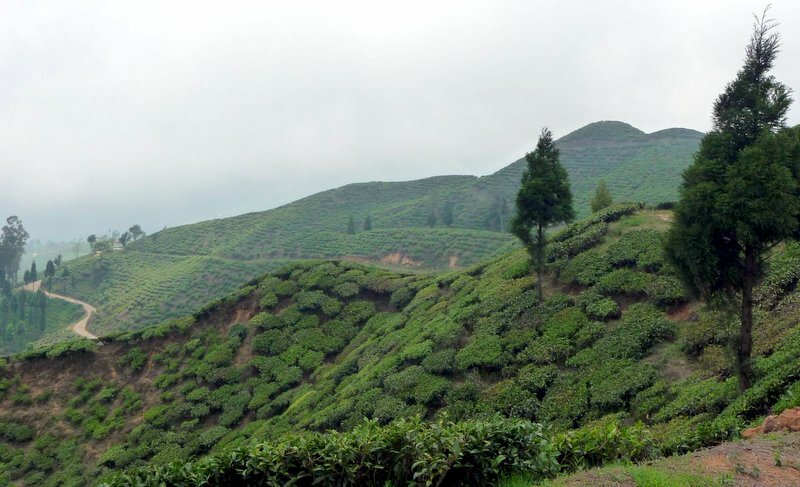 High mountains with steep slopes make for great tea growing areas. This can make travel to these areas tough, but the reward is well worth it. Different tea landscapes can vary, but they almost always have a unique natural beauty. From 100 year old trees hidden in the lush jungles of south-west China’s Yunnan Province to the rocky cliffs of Fujian’s Wuyi Shan; from the rolling, mist covered hills of Darjeeling to the immaculate, uniformly trimmed tea bushes of Uji, Japan; from the mixed agriculture of loquats, peonies, and tea plants on the banks of Lake Tai in Suzhou to the terraced, cloud scraping high mountains of central Taiwan. I you travel to find tea, you will find yourself in some amazing places with unmatched beauty. I hope this list inspires and motivates. Whether you are ready to get out there and explore the many tea regions of Asia or simply stop by your local tea seller to pick up some fresh leaves, remember that the tea fields are out there waiting for you!